La 100 de beri can be translated as “100 beers”, so you got the idea. Beer bar in the historical centre (Old Town) of Bucharest, where nice and friendly people gather. 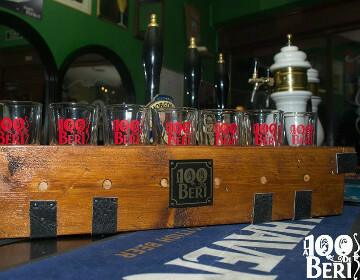 Locals in Bucharest have reviewd La 100 de beri - Bars in Bucharest. You can get here description, reviews, address, map, phone, website of La 100 de beri in Bucharest. Visit Bucharest Tips for more Bars in Bucharest!